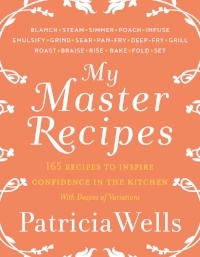 When Patricia Wells moved to Paris she had no idea it would be for good. But, seduced by the magnetism of that all-embracing city, she discovered a vibrant culture that intensified her curiosity in all things culinary. 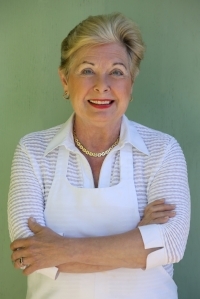 Now, more than twenty years later, the magic of Parisian cooking is still her passion. 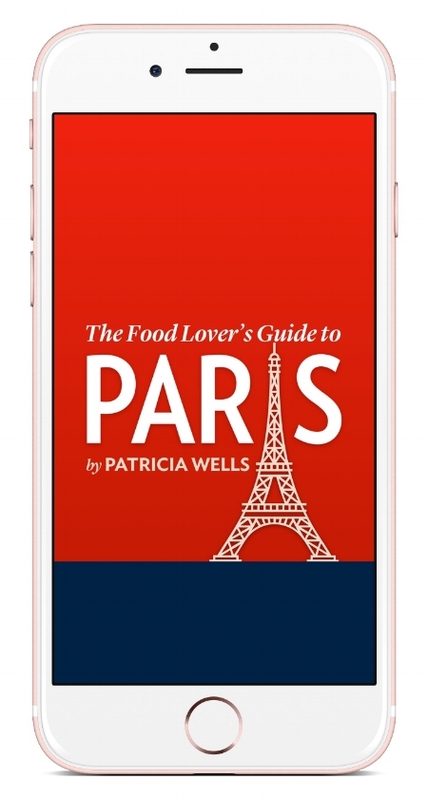 With over 150 recipes inspired by her favorite cafes, bistros, wine bars, markets, cheese shops and restaurants, The Paris Cookbook is the authentic guide to Parisian Food. Succulent fruits and fresh vegetables, delicious cheeses, breads, pulses, fish, meats, herbs and spices come together in innovative recipes motivated by influential chefs like Guy Savoy and Joel Robuchon. Try classics such as French Onion Soup and Tarte Tatin, or traditional Basque-spiced leg of lamb, a regional specialty. There are also popular contemporary dishes including Slow-Roasted Salmon with Sorrel Sauce, Polenta Fries, and Cherries in Sweet Red Wine. Menu ideas comprise starters, salads, snacks lunches, main meals and desserts, complete with preparations tips, serving suggestions and recommendations for accompanying wines. Whatever the dining occasion, whatever produce is in season, you'll have plenty of dishes to choose from. Let Paris live in your soul and bring the lively world of this most cosmopolitan of cities into your kitchen.